Nationwide, housing inventory is tight this fall, and the homes that are on the market are selling fast. That’s certainly the case here in the Bay Area, which again claims the country’s three most in-demand real estate markets as October comes to a close. Realtor.com’s latest monthly list of America’s 20 hottest housing markets, as gauged by fastest pace of sales and most listing views on its website, says that the U.S. median list price is $275,000 in October, near its all-time high. A lack of inventory, which is down 8 percent from a year ago, is pushing up prices and driving a brisk pace of sales, with homes selling in a median 73 days, 8 percent faster than last October. As in September, the San Jose metropolitan area is the nation’s hottest real estate market in October. No. 2 Vallejo switched places from last month with San Francisco, which fell to the No. 3 spots. Both San Francisco and Vallejo have spent multiple months in the hot-list’s top spot over the past year. As usual, California dominated the ranks of realtor.com’s most in-demand markets, accounting for half of the cities on the list. The Golden State’s other hot housing markets in October: San Diego (No. 4), Stockton (No. 6), Sacramento (No. 7), Modesto (No. 10), Fresno (No. 12), Oxnard (No. 18), and Santa Cruz (No. 19). Just in time for Halloween comes news that so-called zombie foreclosures saw a big decrease in the third quarter, as buyer demand amid limited supply has caused even highly distressed properties to be absorbed. According to a report from ATTOM Data Solutions, there were 14,312 U.S. properties classified as zombie foreclosures at the end of the third quarter, meaning those that have begun the process and are vacant but have not yet been repossessed by the bank. Zombie foreclosures are down 22 percent from the third quarter of last and 67 percent from the peak recorded four years ago. 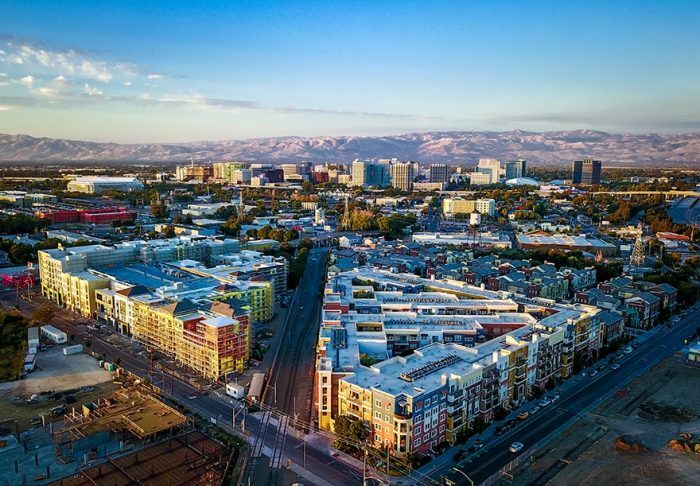 The report, which also tracks other property-vacancy statistics, found that San Jose had the lowest residential vacancy rate in the U.S., at 0.23 percent. Castro Valley‘s 94546 was one of 9 percent of U.S. ZIP codes where there was not a single vacant residential property at the end of the third quarter. Despite paying the highest rents in the country, the Bay Area has the nation’s lowest eviction rates, thanks to excellent job opportunities and high salaries. 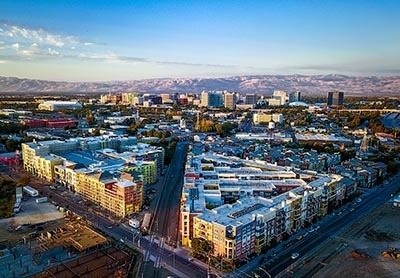 A recent study by Apartment List says that the San Jose metro area has a 1.2 percent eviction over the past two years, the lowest in the country, even though rents have grown by 69 percent over the past decade. As of October, San Jose was the nation’s third priciest rental market, according to Zumper data, with one-bedroom units fetching $2,380 per month. In San Francisco, where one-bedroom units rent for an average of $3,480, the eviction rate is at 1.6 percent. Rents in the city increased by 49 percent between 2006 and 2016. High salaries help ensure that Bay Area renters need not fear eviction as much as those in other parts of the U.S. Of the 10 cities with the lowest eviction rates, San Jose and San Francisco renters had the largest annual median earnings last year, a respective $110,040 and $96,677. Services like Airbnb inflate both home price and rents, researches hypothesize, and they recommend that policies be put in place to curb short-term rentals. Citing a yet-to-be-published paper, The Wall Street Journal reports (subscription required) that for every 10 percent rise in Airbnb listings, rents increase by 0.39 percent and home prices appreciate by 0.64 percent. University of California, Los Angeles professor Edward Kung, one of the study’s authors, says that Airbnb removes supply from the long-term rental stock and reallocates it to the short-term market, thereby causing both rent and home prices to rise. Kung believes that regulations should be enacted to keep homeowners from converting long-term rentals to the short-term market. However, he told The Wall Street Journal that any such policies should not apply to those who want to rent an extra room in their house or rent it while they are away on vacation.